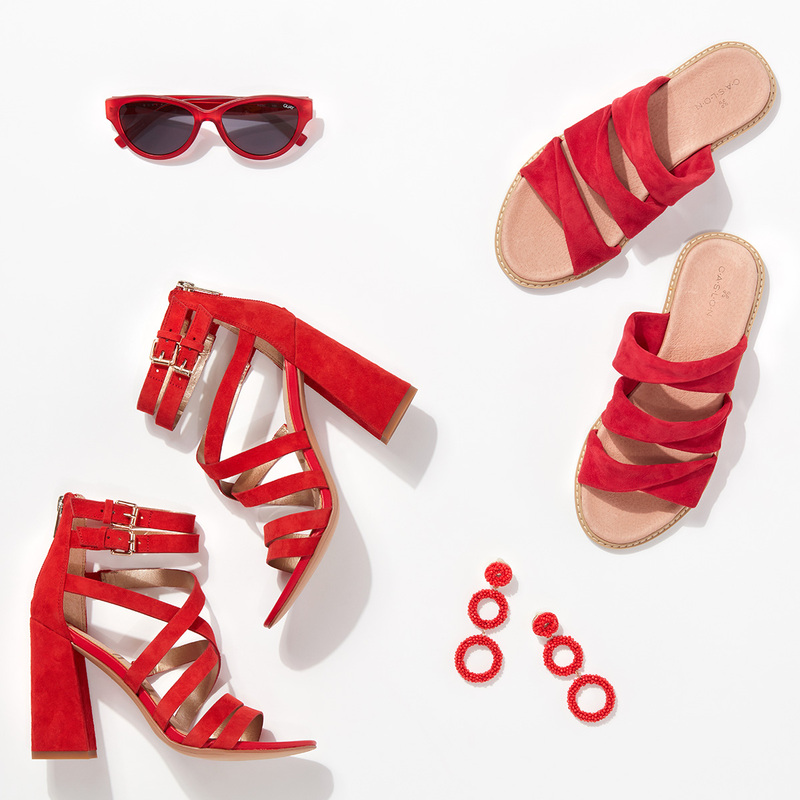 From runways to city streets, red is popping up on our summer style radar. And—just to be clear—we love this trend. Arguably the boldest and most flamboyant of hues, red never really goes out of style. Adding it to an outfit evokes power, confidence, and even romance. It all depends on which pieces you wear. Admittedly, red can be intimidating if you’re used to neutral tones. 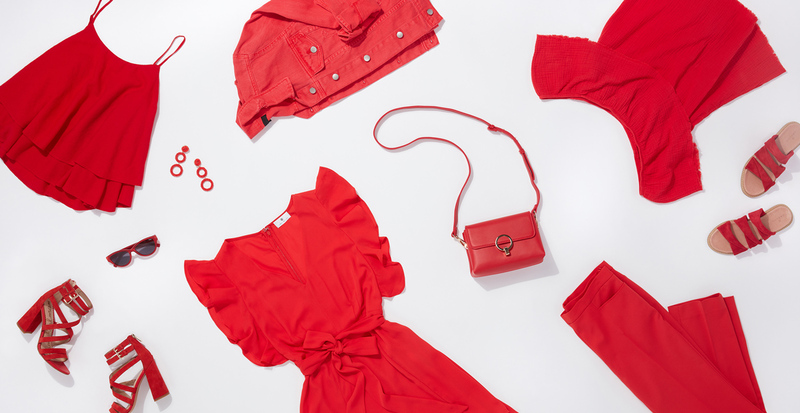 So, we’ve broken down three levels of scarlet style to try, from subtle accessories to striking statement pieces. Standard accessories become brilliant in bright red, making them an ideal accent to a summer ensemble. A pair of red-framed sunglasses or crayon-colored earrings are instant favorites that will make your outfit pop. For a slightly more traditional way to add red to the mix, try it as a plunging V-neck dress, off-shoulder blouse, or flirty tank. 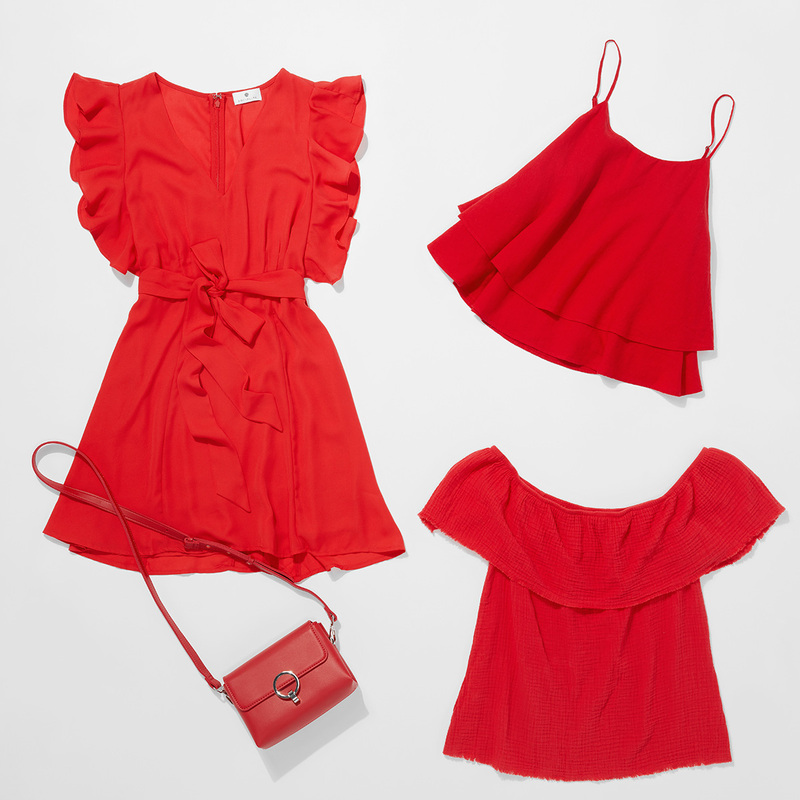 Red looks irresistible in ruffles. You can even carry a candy-apple-hued handbag for a smaller statement. 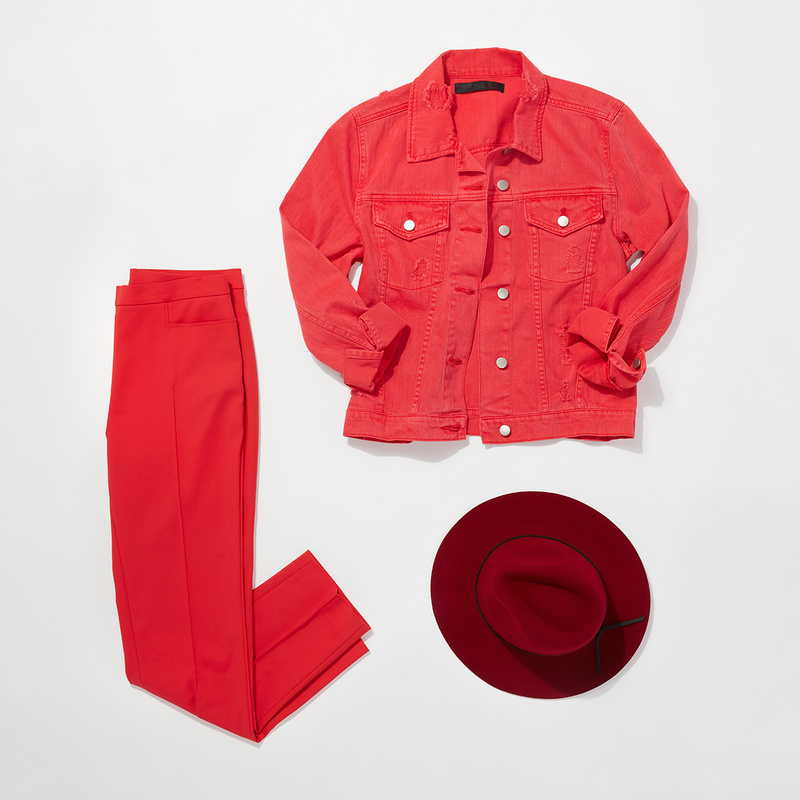 Go for the full effect with unexpected styles that look extra vibrant rendered in red. Pull on a classic denim jacket (as if denim couldn’t get cooler), pretty paper bag shorts, or smart trousers for a bold focal point.